After a long day (or week) of studying, chilling out is definitely always on the top of your minds. 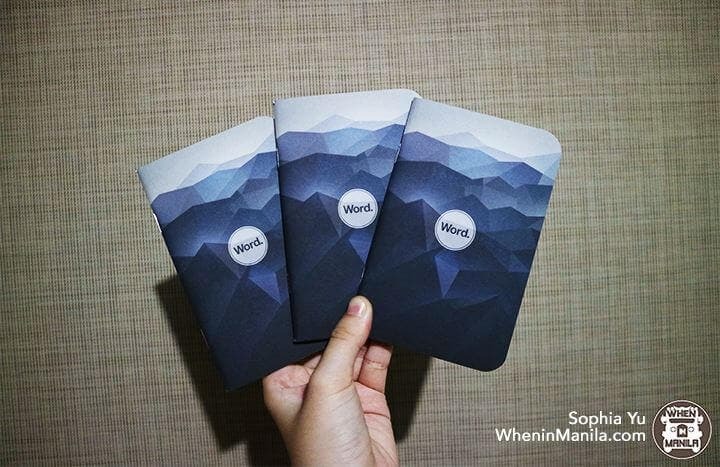 If you are a college student with a workload that is out of this world, you will want to free yourself for a while. 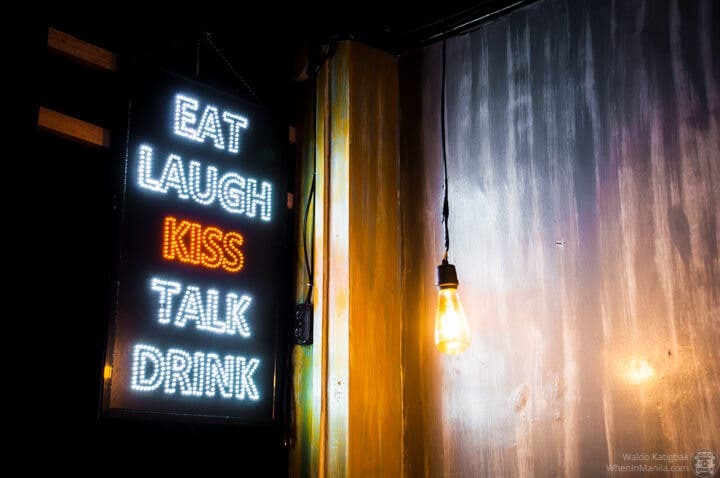 Luckily, Four Monkeys Bar and Kitchen is around. 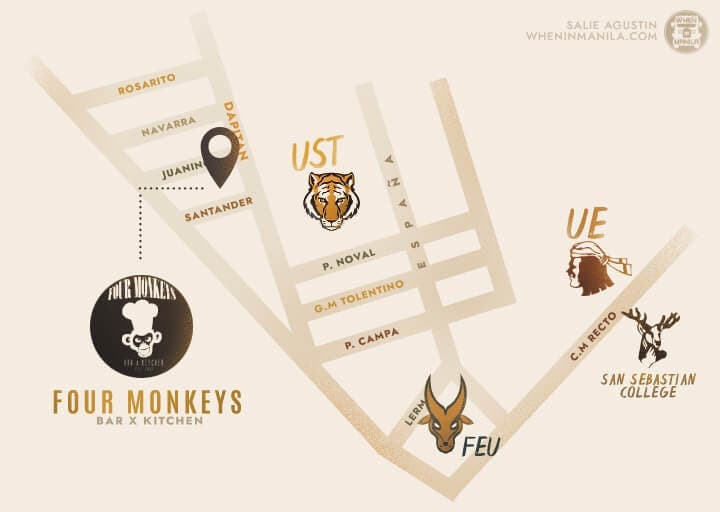 Located across the famous Dapitan St. near the University of Santo Tomas, this newly opened bar and restaurant will make you want to keep coming back! 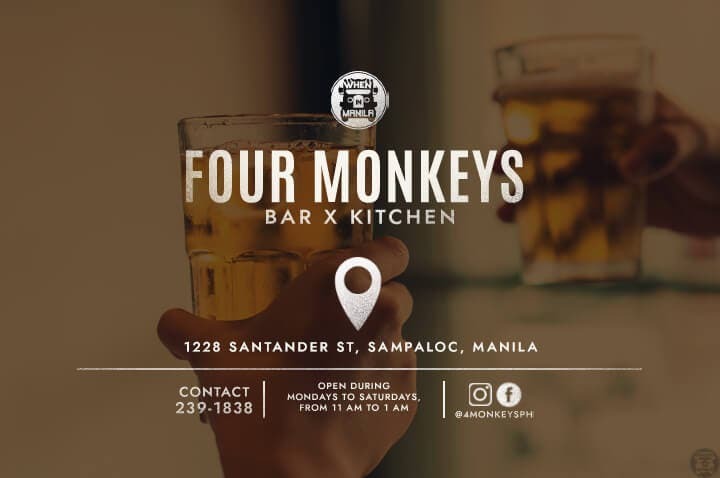 Four Monkeys opened last May 18 and was founded by UST high school buddies Gabriel Figueroa, Niño Pancho and Benjamin Salvador, who were all born in the year of the Monkey (thus the name). The extra monkey represents the customers that they’ve mingled with and have befriended since their opening day. 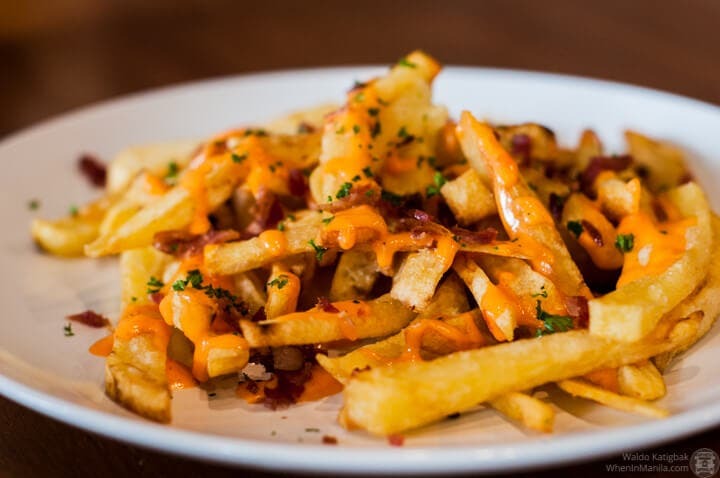 Who doesn’t love fries? Everybody’s all-time favorite finger food has just been upgraded with bacon bits and cheese sauce. 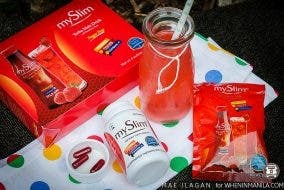 You’ll finish this in no time for sure! A true masterpiece made by their innovative kitchen! 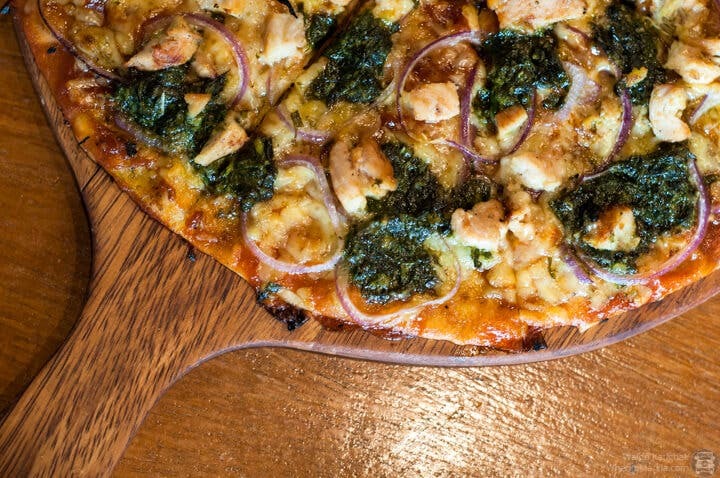 Your favorite Chicken Barbecue just got pesto-fied, creating layers of heaven in each bite. Moreover, they use thin-crust pizza with this artwork, making it even better! 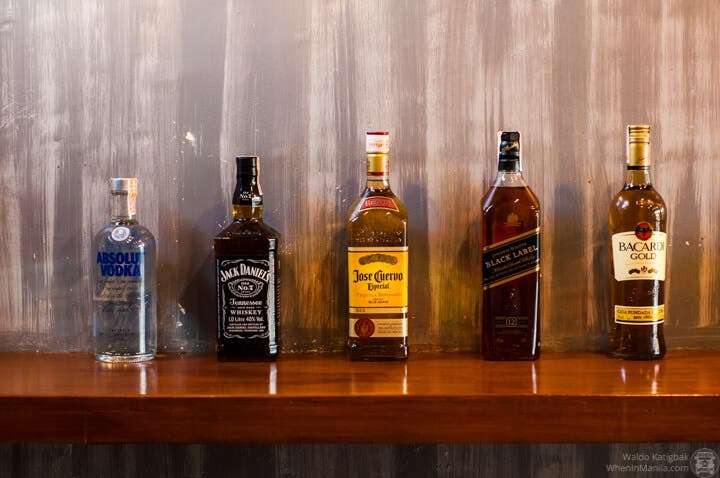 Another one of everybody’s all-time favorites can be found on the Four Monkeys menu. These chicken wings are deep-fried ’til crispy and even have a hint of spice in each munch. They are served with a generous heap of tartar sauce on the side. Creamy, satisfying and worth coming back for! These words simply describe how good this dish is. 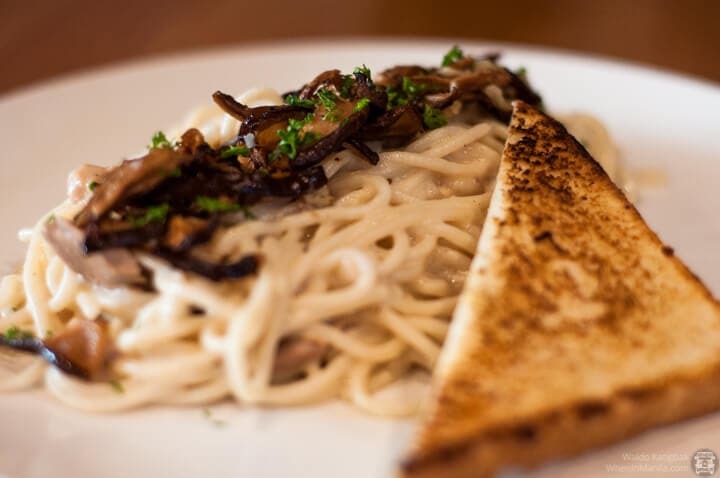 You won’t regret ordering this pasta, which involves a mixture of truffles, cream sauce and pasta. A slice of toasted bread is served on the side, too. For all the meat lovers out there, you’ll fall in love with this one at first sight! These baby back ribs are slowly cooked in a hickory barbecue sauce ’til soft and juicy. Along with a cup of white rice, it is served with a generous portion of their equally fantastic coleslaw. This dessert is sure to wow you every single time! Filled with a shiny and gooey chocolate filling, it is both moist and gratifying. It is served with a bunch of chocolate chips and a generous sprinkle of cocoa powder for good measure. Solid matcha fans, this is a MUST-TRY! 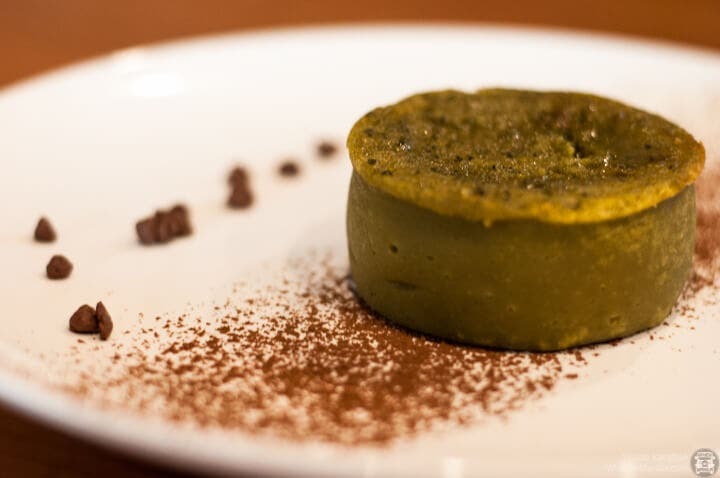 Your mouth will drop after you slice the cake in the middle since it contains a delicious matcha surprise! It is also topped with pieces of chocolate chips and a hefty dusting of cocoa powder. 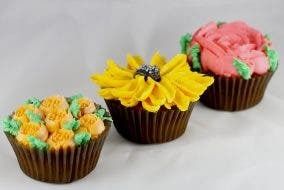 Have you ever dreamed of having everything your sweet tooth craved in a single bite? Well, this is it, guys! 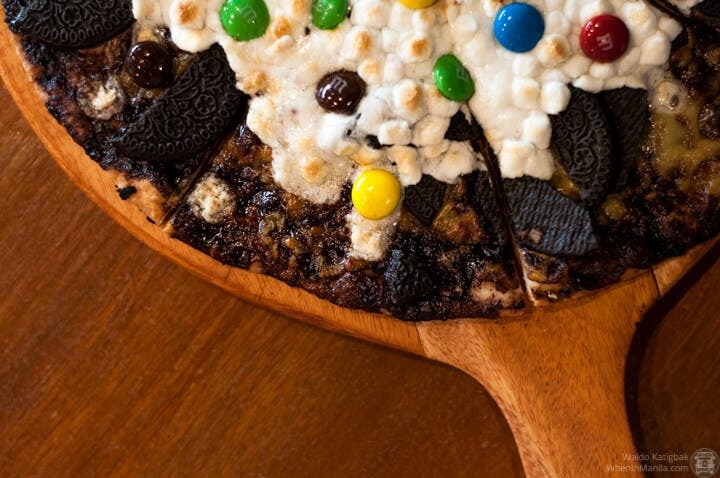 Chocolate ganache, marshmallows, M&M’s, Oreos and cheese are combined to create layers of sweetness with each munch. 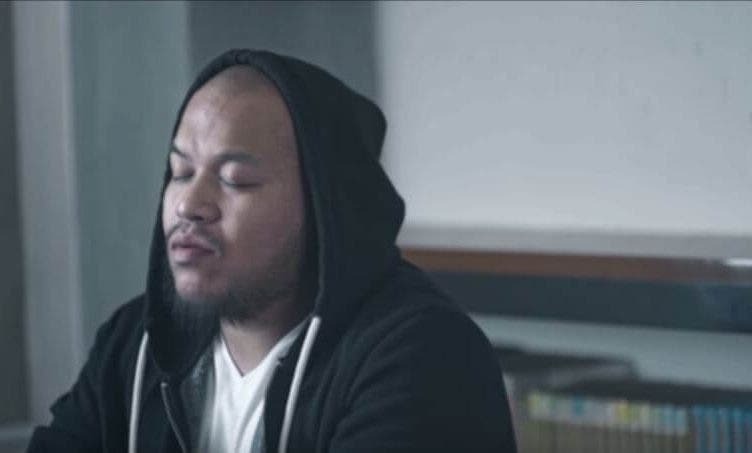 On Fridays, an open mic is available for everyone, so you can play music, start jamming or even perform spoken poetry! 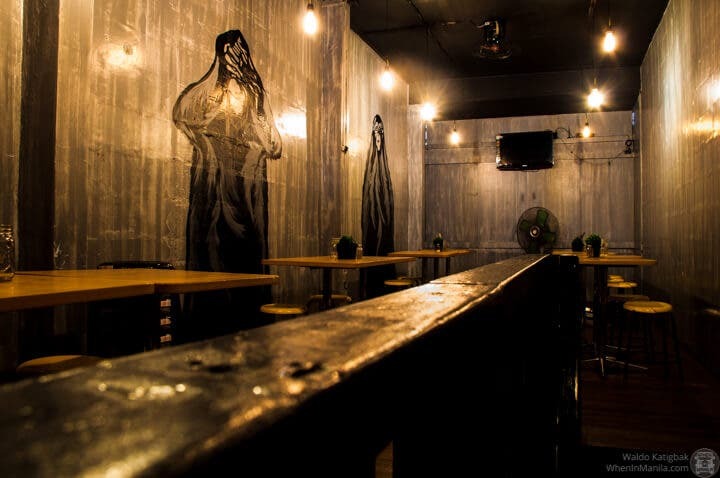 If you order 6 bottles of beer (Php300), you’ll get an order of their Cheesy Bacon Fries for free! 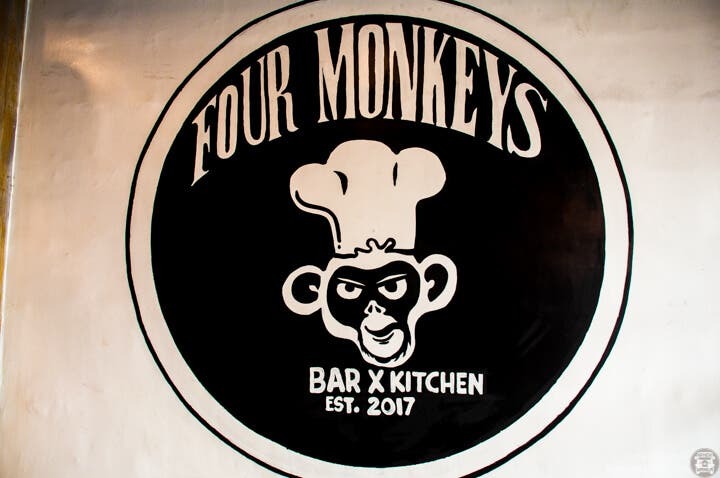 If you’re looking for a place for your next barkada hangout, Four Monkeys Bar and Kitchen is the perfect place for it. Come and enjoy what they have got to offer! Wondering how to get there? Here you go!